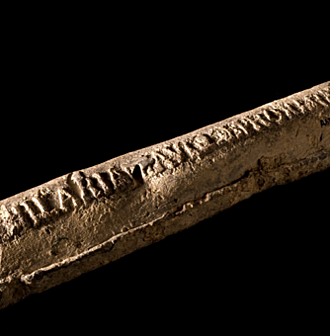 Plumbing Pipes: From Lead to PEX and Beyond | Lubrizol Advanced Materials, Inc.
Water is essential to life and so it’s no surprise that the history of water distribution is closely tied to the history of human development. In the modern world, the development of indoor plumbing had a significant impact on how we live our lives, and the materials used in those plumbing systems are an important part of that story that we often overlook. Over the last 150+ years, there have been six materials commonly used for indoor drinking water piping. Some have been rigid, while others were flexible; some were made from metals and others from plastics. Each material has both benefits and drawbacks, one of the most common drawbacks in plumbing materials is an incompatibility with the water flowing through the pipes. In fact, it is because of this fundamental flaw that five of the six plumbing pipe materials have been involved in class-action lawsuits. The first indoor plumbing systems used lead pipes, in fact the word for plumbing comes from the Greek word for lead, “plumbum.” Lead was a popular material prior to the 20th century because it’s superior flexibility and ease of installation. As we learned more about how lead poisoning can affect human health, lead in drinking water systems became more regulated and lead pipes fell out of use in new construction. However, millions of feet of old lead pipes remain in service today and are at the root of many water quality crises such as the one in Flint, Mich.
First used as an alternative to lead piping in the late 19th century, many homes built before the 1960s have galvanized pipes. Galvanized pipes worked well as long as its zinc coating was in place, however over time the zinc eroded from the pipes due to the flow of water. Once this occurred, the metal pipes would rust causing water contamination, restricting water flow and eventually leaking. 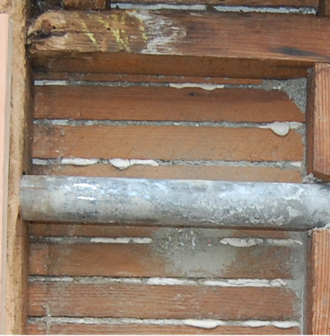 While galvanized pipes generally fell out of use by the 1970s, some builders and plumbers continued to use them into the 21st century, when a combination of new water chemistry and foreign made pipes resulted in several failures and class-action lawsuits. 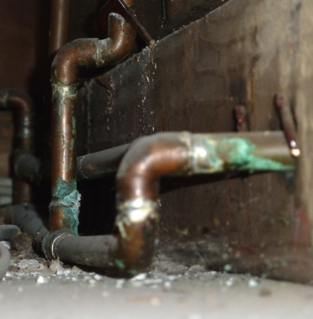 Still one of the most common pipes, copper piping has been around since the early 20th century. Copper rose to dominance by replacing galvanized pipes, however it is one of the most labor intensive and expensive pipe to install, leading to a sharp decline in copper use in the 21st century. In addition to cost concerns, copper is known to corrode and fail in environments with aggressive water, high chlorine levels or alternative chlorine-based disinfectants. As these environments become more common in new construction, copper pipes have become more problematic, resulting in problems ranging from dangerous water contamination to systemic failures and class-action lawsuits. In 1959, CPVC was introduced as the first plastic hot and cold potable water piping material and more than 10 billion feet of CPVC pipes have been installed since. CPVC was originally marketed as PVDC to differentiate it from standard PVC, and is now commonly sold in the United States under the FlowGuard Gold brand. Unlike other plastics, CPVC is a rigid material that installs similarly to copper at a fraction of the cost. CPVC is the only plumbing piping material available today that is fully compatible with drinking water under all conditions meaning that it will never corrode, pit, scale or degrade due to water conditions. Because of this, CPVC is also the only plumbing material on this list to have never faced a class-action lawsuit in plumbing systems. CPVC remains popular today in both single family and multi-family construction, however some service contractors have expressed concerns about handling aged systems and compatibility with ancillary chemicals, which can be resolved by using correct installation methods. About a decade after it was created in Europe, polybutylene pipes arrived in the United States as the next big thing in the 1970s. As a flexible plastic system, it was an instant hit with contractors who saw it as much faster than copper. Polybutylene pipes were in service for about 10-15 years before a major problem developed. Being part of the polyolefin family of plastics makes polybutylene flexible, but it also introduces a fatal flaw – it could quickly degrade in the presence of hot, chlorinated water. By the early 1990s, pipe and fitting failures in polybutylene systems had escalated to the point where 2 major class-action settlements were reached, totaling nearly $2 billion. 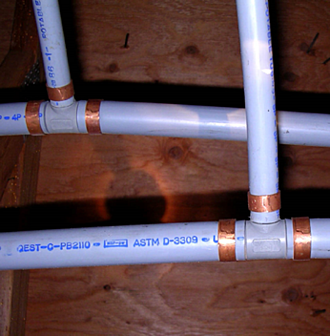 By 1996, polybutylene was removed from the plumbing codes. Today many service plumbers owe their jobs to replacing the millions of feet of polybutylene pipe installed in the 70s and 80s. Similar to polybutylene, PEX is a flexible plastic piping material that was created in Europe in the mid-20th century. 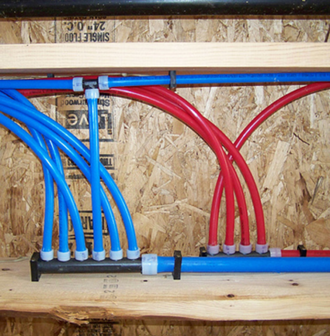 PEX became very popular as a drop-in replacement for polybutylene. Unfortunately, PEX inherits the same fatal flaw from the polyolefin family as polybutylene, degradation caused by hot, chlorinated drinking water. Since 2008, there have been at least 10 class-action lawsuits involving PEX plumbing systems stemming from failures due to contact with the drinking water. PEX is also known to have a noticeable influence on the taste and odor of drinking water, and may allow outside contaminants to permeate through the pipe, into the drinking water. PEX systems became popular in the US in the early 2000s, meaning that we are just now approaching the 15-year mark at which we saw failures in polybutylene. Failures are starting to appear throughout the country in PEX systems from various manufacturers, but only time will tell how widespread these issues will become. As American suburbs continue to expand, new technologies for water disinfection are being considered to help keep our drinking water clean and safe for use. These methods can be increasingly problematic for metals and polyolefin materials like PEX. 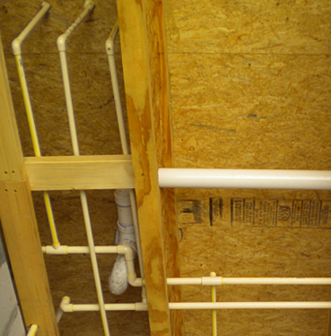 A few new materials have been promoted as options, including polypropylene and PERT, but both of these materials also come from the polyolefin family and have demonstrated the same vulnerability to chlorinated water as PEX and polybutylene. With metal systems that once lasted decades, now failing within a few years of installation, and a liability profile that only stands to grow, builders and plumbers are being pushed to take control of the risk associated with plumbing systems in homes. While the quest for a completely flexible, plastic piping system that can reliably withstand the rigors of hot, chlorinated water in plumbing systems will continue, builders and plumbers can rely on the materials in the market that have a proven track record in the United States. With more than 10 billion feet of pipe installed over nearly 60 years, and 0 class-action lawsuits, FlowGuard Gold CPVC has proven itself to be a reliable product that can be trusted by builders and plumbers for generations to come.